We received copies of these books for review. All opinions are strictly our own. Those summer beach reads were so much fun this year, but it’s time to curl up on the sofa with a hot cup of tea and the fire crackling and a GOOD BOOK of course. Here are my picks for Falls Best for this season. “Postmodern literature is literature characterized by reliance on narrative techniques such as fragmentation, paradox and the unreliable narrator; and often is (though not exclusively) defined as a style or a trend which emerged in the post-World War II era”. 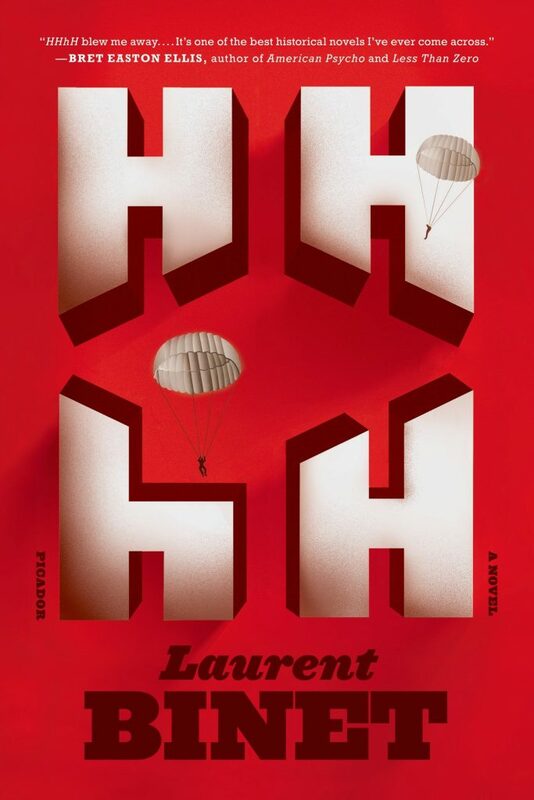 Many reviewers are claiming that HHhH is a postmodernist novel but I say no: yes, the fragments and quilt pieces are there, yes, the paradox screams from each chapter and often the narrator claims unreliability, but let’s be fair to this absolutely brilliant rendition of art by Laurent Binet. How many of you would pick up a novel about the Holocaust’s most brutal murderer, Himmler’s second in command, REINHARD Heydrich – Himmler’s Hirn heist Heydrich – translation: Himmler’s brain is called Heydrich– and allow it to bite you in the throat without some kind of brilliance behind the writing? Like murder, we have heard so much about this horror that we cannot be horrified anymore. Except…yes, Binet has horrified and tantalized and humanized us with a book that creates the true inhumanity of a psychopath among psychopaths, a creature of such evil that we cannot stop venturing into the horror. Even Steven King could not produce such a book and this is a true one, with a bit of make believe and a narrator who tells us the truth although he is considered unreliable. A book of depth and innovation, this will be a book of the year. Binet strikes gold in H H h H, and his debut novel of the worst of Hitler’s hitmen, Himmler’s first in command, Reinhard Heydrich, the Blonde Beast is incomparably described in each page as it ravels around our throats. In this riveting compendium of truth, horror, rumination and genius wit, Binet never chokes as he sets down the High Command of Hitler in a totally new light. We have so anesthetized ourselves of the horror of the Hitler regime and miraculously, Binet mesmerizes us with the story of the worst psychopath in history and the two courageous men who assassinated him, knowing they would die torturous deaths. Words cannot give this novel its due. Read it. And remember it. Sit tight. 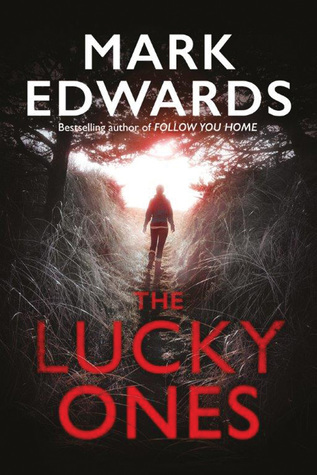 Mark Edwards will have you chewing your fingernails with his new thriller, The Lucky Ones. A serial killer is on the loose, and Detective Imogene Evans is stumped. The victims are all posed and are all smiling happily, it seems, blissed out in death. Ben Hofland, newly divorced, has just moved back to his hometown with his bereft son Ollie. Ollie misses his mom and his old life. Ollie is also bullied in his new school because he is fat. 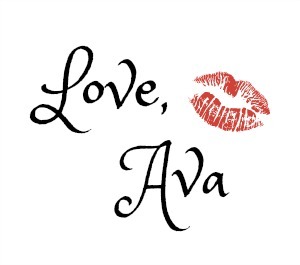 Until…Ollie finds a cell phone and a new friend who texts him via the cell phone. And he thus unwittingly befriends the serial killer, who makes Ollie happy by making the bullies go away. Because … the killer wants Ben to be happy – so he can kill him and send him to his bliss. Original and creepy good, The Lucky Ones presents characters who find that scary things can happen – to them. Excellent night read – but prepare to be up…all night. This creepy, titillating “film noire” novel gathers together an old church, an architect, a research historian, a small English town, and gargoyles that can predict…what? And to make things even worse, an event that happened over 500 years ago by two families is now happening in all the same exact ways in the present -by present day members of the same family. 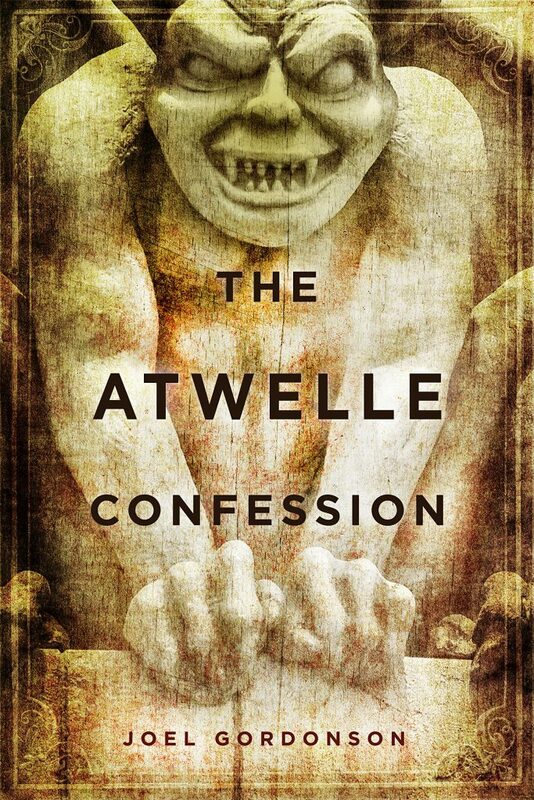 Intricate, spooky and well written, The Atwelle Confession combine Church and State and serial murders all seated in an ancient church that conjures up the fury of hell and the mandates of heaven in an intriguing novel that roars and pounds with the pressure of mystery and evil. 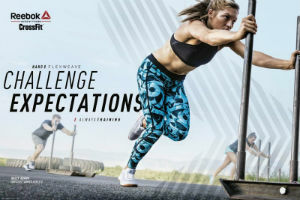 Another unbelievably good read – don’t miss this one! 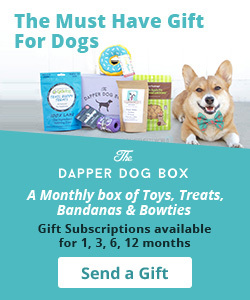 « TWO LEFT FEET? EX BALLERINA? Or just HAVE SORE FEET?